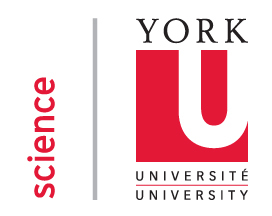 Our first winter York Science Saturday, held on January 24, was a great success. 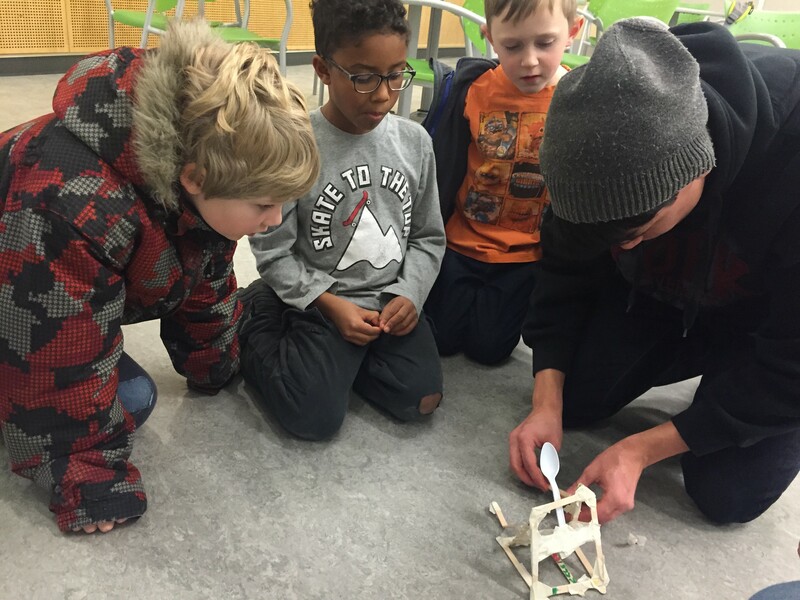 With 65 students in attendance, hands-on experiments had kids energized in making circuits and leaping into action with catapults. Other upcoming programs include QuantumGirl and March Break Science Safari. Here’s a reminder to submit your science images for the Science@50 photo contest. The first of six public lectures on neuroscience (in partnership with the Faculty of Health and the Toronto Public Library) was held at the Toronto Reference Library on January 21. With 110 attendees, Denise Henriques (Kinesiology and Health Science, Faculty of Health) spoke about “Your Brain in Action” and addressed questions from engaged audience members about her research and neuroscience in general. Edward Jones-Imhotep (Science & Technology Studies) spoke at Exploring the Frontiers of Science and Technology Research Celebration organized by the VPRI. Six Physics undergraduates attended the Canadian Conference for Undergraduate Women In Physics (CCUWiP) held in Quebec City. Close passage of asteroid 2004BL86 not only kept Paul Delaney busy with media interviews (CP24, Toronto Sun, CTV, Newstalk1010, and several others), but also doubled the number of visitors to the Observatory’s Monday night online public viewing. Tom Salisbury (Mathematics & Statistics) was quoted in a Montreal Gazette article about life settlements. Globe & Mail reported on the findings of Jianhong Wu (Mathematics & Statistics) and his collaborators on media’s impact on the spread of infectious diseases. Sampa Bhadra (Physics & Astronomy) is profiled in the latest issue of YorkU Magazine. The article also features Wendy Taylor (Physics & Astronomy) and alumnus Nigel Lockyer. Rick Mercer visited the Observatory during his York visit. Paul Delaney (Physics & Astronomy, NATS) was interviewed on CanadaAM about the recent speculation regarding the possibility of planets beyond the orbit of Pluto, on CTV about the release of a composite Hubble image of the Andromeda galaxy, and in Ottawa Citizen about the future of space exploration. Toronto Star reported on Ray Jayawardhana’s travel to Mauna Kea for exoplanet observations in a feature on the Thirty Meter Telescope (TMT) project. It also published an editorial in support of Canada’s TMT participation. Jesse Rogerson (PhD student in Physics and Astronomy) appeared on Global TV to comment on asteroid 2004BL86. Feb 25 – Derek Wilson (Chemistry) presents “When Proteins Go Rogue: Structural Disorder in Neurological Disease” as part of the Neuroscience Lecture Series. Mar 3 – As part of Science@50, Mathematics and Statistics hosts a Distinguished Alumni Panel. The event will include a “Math of the Simpsons” presentation, highlighting and explaining mathematical concepts embedded within the popular TV show.